"Deshadowing by 10-20% will give the state's coffers more than mere economic growth." 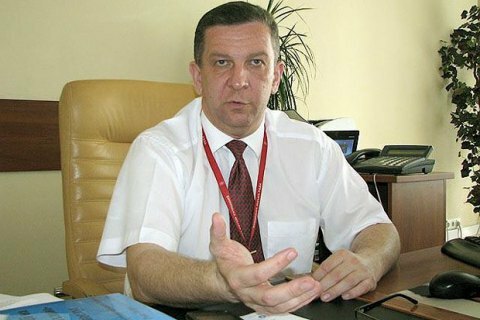 The Minister of Social Policy Andriy Reva says that the main source for the increase raise in the minimum wage will come from the "deshadowisation", ie bringing a part of the nation's economy from the shadows. "When we talk about the twofold raising the minimum wage we suppose that tax revenues, including the unified social tax, would automatically increase twofold. We view this move as one of the elements of bringing worker's wages out from the shadows. Our economic advisers say that the increase in wages should be proportional to economic growth, ie if economic growth is planned at the level of 3% while minimum salaries grow twice, it supposedly may unbalance all other indicators," Reva said speaking at a roundtable in Gorshenin Institute on Monday, 31 October. "Let us recall, however, the conditions of Ukraine with almost 50% of its economy in the shadows. With such a colossal shadow turnover, deshadowing even 10-20% of economy may give the national budget more just economic growth. "- he said. The minister stressed that the move was carefully deliberated. According to him, the government has been preparing it for about six months. Reva said that the increase in the minimum wage is an urgent need, as the current minimum wage does not provide the possibility of physical survival for a whole stratum of working people. "The consumer basket had not been revised for fifteen years. A month ago, the government finally approved it in the new format. When we have it calculated we found that for 2016 this line that must be set for the actual living wage should be set at 2,800 hryvnia, and in 2017 it must be at 3,200 hryvnia If we agree with the fact that the minimum wage will be below this figure, we will have to honestly admit to the people: minimum wages would not allow them physically to survive," the minister stressed.